We are pleased to be back in St Olave’s Church for our Mozart in Prague concert, following extensive roof repairs and the closure of the church for the first few months of 2016. In the concert we perform the Overture and highlights from the Marriage of Figaro – in Italian – followed by Symphony No.38 in D major, The Prague. 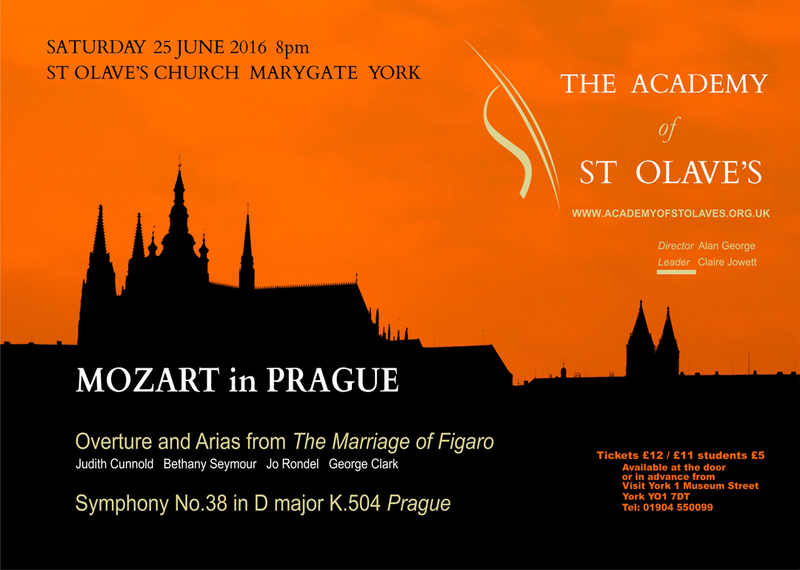 The Mozart in Prague concert on 25th June at 8pm focusses on two of Mozart’s works written in 1786. 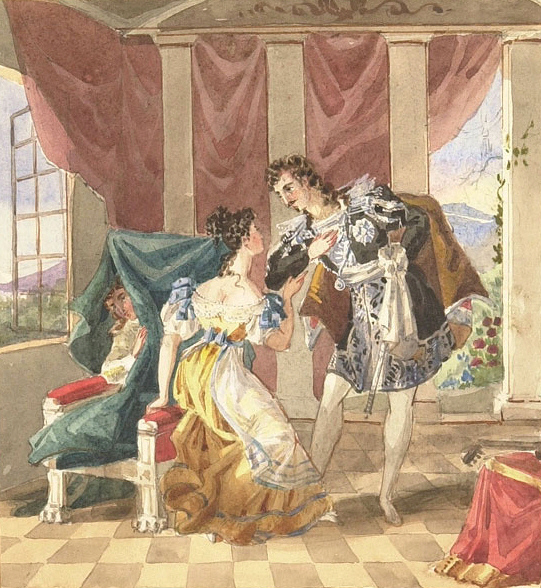 The comic opera Marriage of Figaro was first performed in Vienna in the same year. 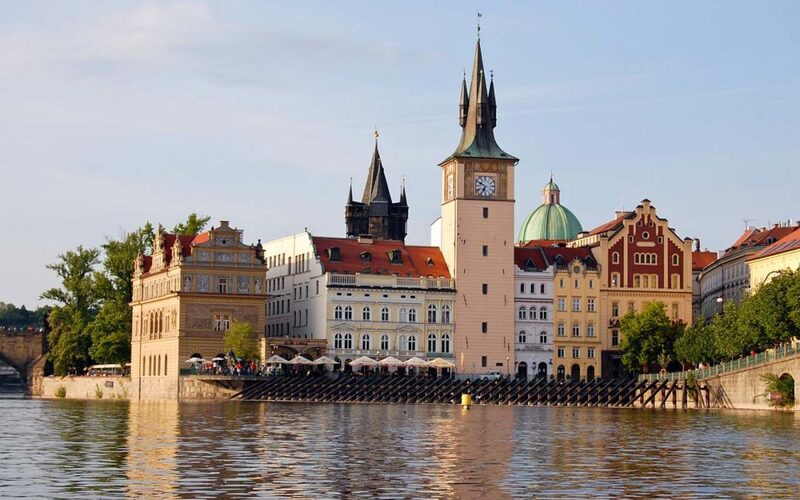 By the time Mozart made his first visit to Prague in January 1787, Marriage of Figaro was already extremely popular there. His Symphony No.38 in D major was premiered in Prague that same January, and has subsequently become known as The Prague. Figaro and Susanna, servants of Count & Countess Almaviva, are to be married. Their room is to be between those of the Count and the Countess. Susanna is unhappy because the Count is making it clear already that he intends to enjoy the Droit du Seigneur. Figaro thinks he can outwit the Count but it’s not entirely straightforward…..
Cherubino, the Count’s sacked page, wants Susanna to intercede with the Count for his reinstatement. The Countess wants the Count to love her, and her alone. Marcellina wants Figaro to honour his contract to marry her. There follows a day of upstairs/ downstairs entanglements, farcical situations, mistaken identities and intrigue. Marcellina turns out to be Figaro’s mother. And most importantly, the Count eventually learns his lesson. Background to the libretto and censorship of the play! The opera is based on the stage play by Beaumarchais, first performed in Vienna in 1784 then banned because it attacked the exercise of the rights traditionally enjoyed by the aristocracy. Banning a stage play can backfire and may have done so here: in a short time most of Austria would have read the text! 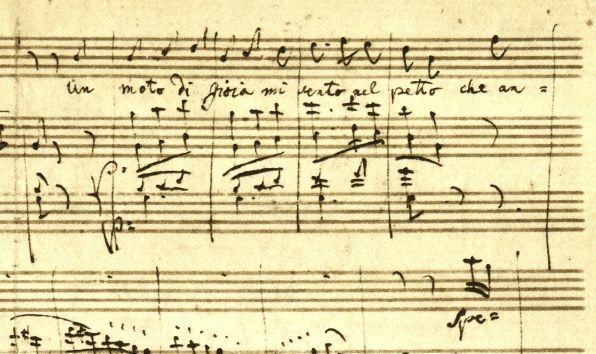 Mozart took the play to Da Ponte – a well-known librettist – who succeeded in obtaining official approval for the work to be presented as an opera in Italian. 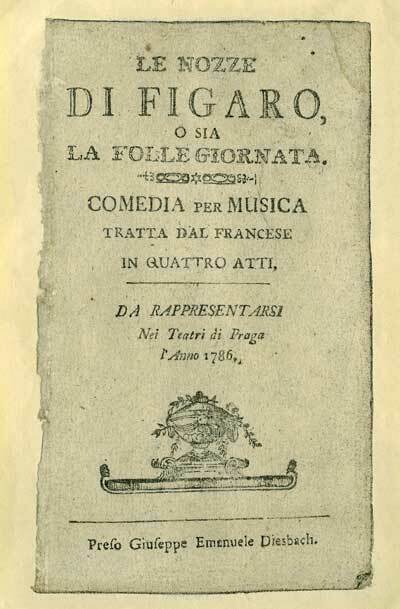 Da Ponte removed the overt political passages: for example he replaced Figaro’s powerful speech against inherited nobility with a passionate aria about unfaithful wives. So the libretto still remains an attack on inherited rights, but presented differently…. For the arias, we are delighted to welcome four excellent soloists, all of whom have connections with York! Jo Rondel has sung with many opera companies and appears regularly as a concert and oratorio soloist. Jo read Music at the University of York, where she studied singing with Yvonne Seymour. She then went on to study on the Opera Course at the Royal Academy of Music with Patricia Clarke. Jo has sung with British Youth Opera, Opera North, Welsh National Opera, Scottish Opera, Bath and Wessex Opera and at the Aldeburgh Festival. Jo also sang for us in our performance of Beethoven’s Symphony No.9 in D minor “Choral” in June 2015. Bethany Seymour was born in York and read music at University of Leeds, graduating with a first class honours degree. Bethany spends much of her time in Germany, where she sings with Rheinische Kantorei. In the UK she sings with such ensembles as Yorkshire Bach Choir, has made several commercial recordings and appeared live on BBC Radio 3. Her concert career has focused on oratorio, early opera and baroque cantatas. She also enjoys singing Lieder with fortepiano. Bethany teaches both privately and at Ampleforth College, and in 2013 was awarded a BBC Performing Arts Fund Fellowship in connection with the National Centre for Early Music. Judith Cunnold has appeared throughout Europe as a soloist, recitalist and consort singer. Recordings include works by Bach, Monteverdi and Handel. Judith studied music at University of York. She is an experienced teacher of singing with a special interest in the development of young voices. 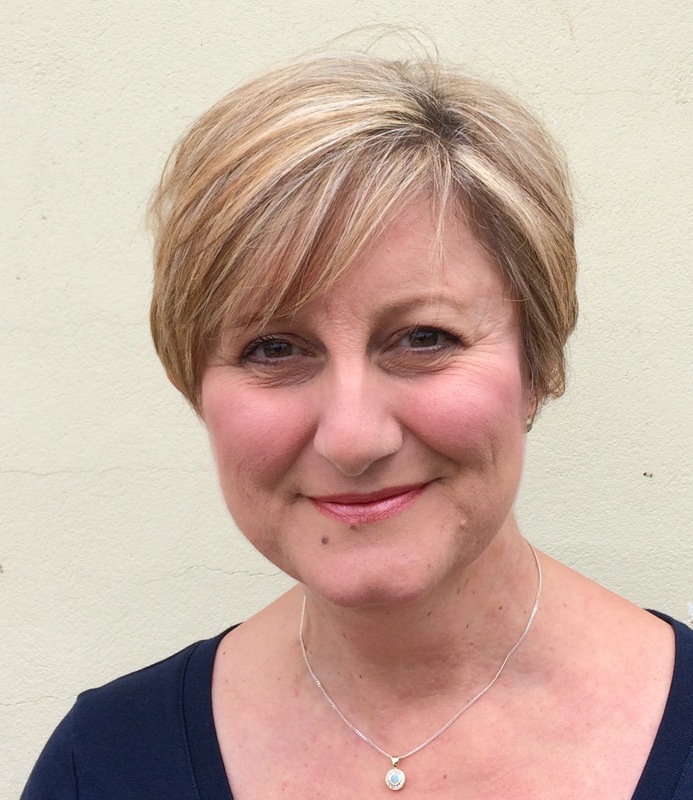 She trains the Probationer Choristers of York Minster and teaches singing at St Peter’s and St Olave’s Schools in York. 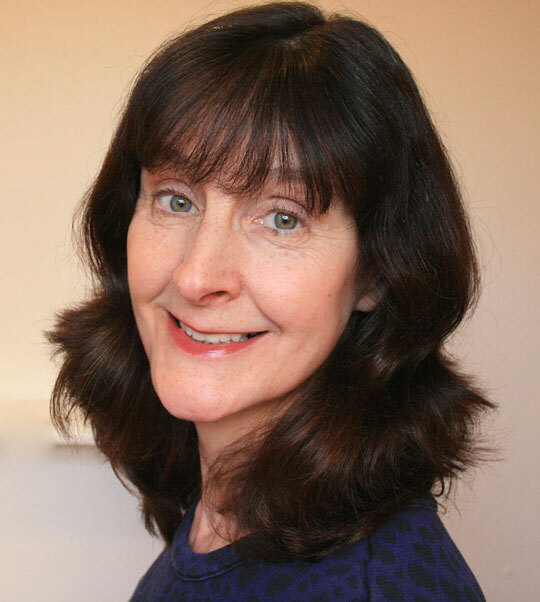 Judith has sung for the Academy of St Olave’s many times in the past, and sang and trained the children’s choir for the 2015 performance of “Searching the Skies” by David Blake. 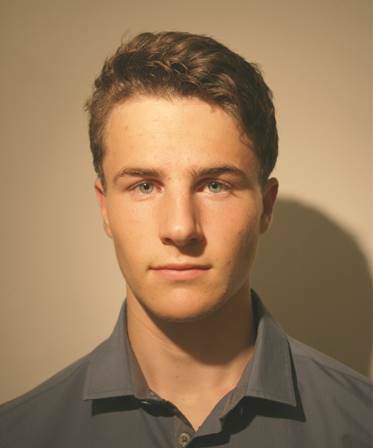 George Clark is currently a first year music undergraduate at York University, studying both as a Baritone and violin. A chorister and then bass choral scholar at Truro Cathedral, George was awarded a bass choral scholarship at York Minster when he came to study in York. George also sings in the 24 Choir under Robert Hollingworth and the Willow Consort at York University. In July 2016 he will be singing Bizet’s Toreador Aria from Carmen in Birmingham Town Hall with Cornwall Youth Symphony Orchestra as part of the Music for Youth Festival. The concert will support the York charity Jessie’s Fund, which provides music therapy for severely disabled, terminally and critically ill children, a cause dear to the hearts of members of the orchestra and its director, the father of Jessie, in whose memory the charity was founded. This is Mozart at the peak of his powers with an outstanding group of vocal soloists. A wonderful and entertaining evening awaits our audience! Tickets cost £12, concessions £11, students £5, on the door or from Visit York in Museum Street or on 01904 550099, or via the button on the Tickets page of our website.